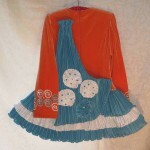 Beautiful solo dress made by Emerald Key in 2011. Dress worn only a handful of times and in excellent condition. 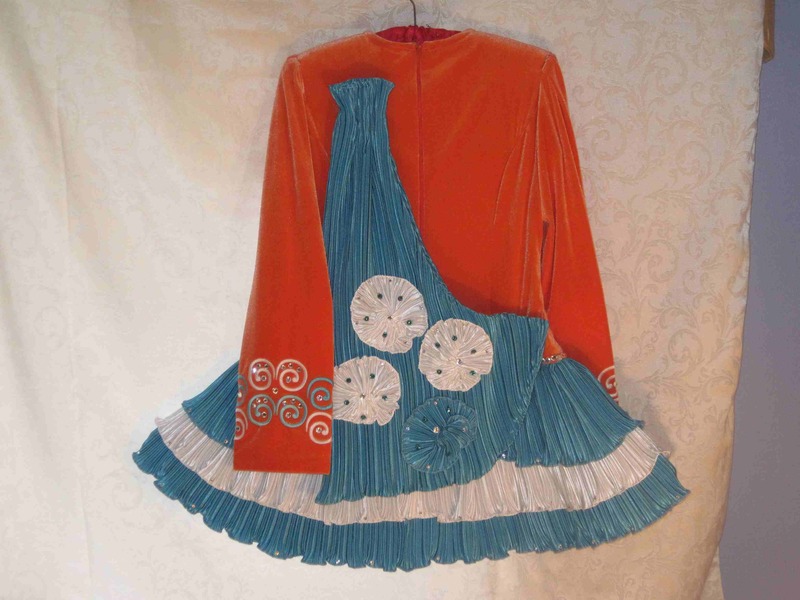 Bodice and sleeves are made of stretch velvet and are vibrant orange in color with teal and white embroidery to match the skirt. The skirt is layered white and teal. Decorated with Swarovski crystals. 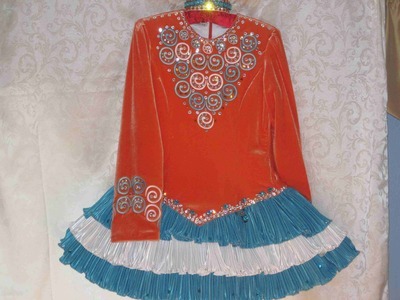 Dress suitable for Novice or Prizewinner. From smoke-free home. Headband (shown in picture) and bloomers included. Asking Price: $US800.00 Shipping costs are included for my own country, overseas shipping is extra. Will accept returns and refund the cost of the dress, buyer to pay all shipping costs.